They all have fasten with a zip, have 2 ‘D’ rings and 2 lifting beckets and require a man to be lifted on both beckets and so will require 2 Lifesavers, one for each lifting becket. Many other lifejackets will have 2 lifting beckets. Some like the Crewsaver Ergofit 290 Ex and Ergofit 190 Pro also have 2 ‘D’ rings, but all of them allow for the MOB to be lifted out on just 1 lifting becket – either one of the two will be fine – and so require only 1 Lifesaver to be fitted. The manufacturers provide 2 lifting beckets in case a rescuer is able to grab the lifting beckets by hand, when being able to hold onto 2 beckets will be easier than trying to manage with just 1. 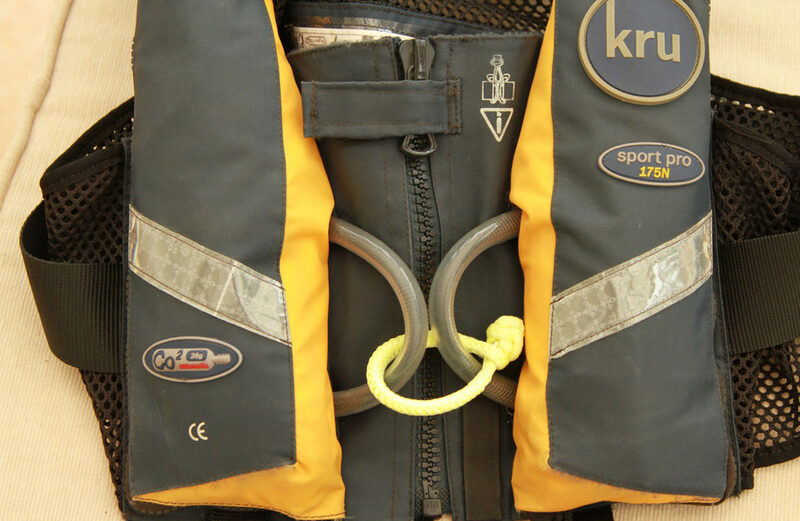 The 2 lifting beckets, can also double up as Buddy Handles so casualties can hold on to each other in the water. If in doubt contact the manufacturer of your lifejacket.